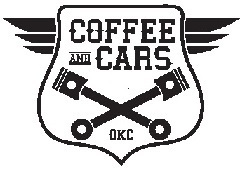 Join us the first Saturday of every month at Coffee and Cars OKC! Investments in securities are not suitable for all investors. Investment in any security may involve a high degree of risk and investors should review all “Risk Factors” before investing. Investors should perform their own due diligence before considering any investment. Past performance and/or forward looking statements are never an assurance of future results. Securities offered through Third Seven Capital, LLC, Member FINRA/SIPC. Synergy Advisors and Third Seven Capital, LLC are not affiliated. Powered by Third Seven Capital. Please be advised that we hold securities licenses (series 7, 65 & 63) in AR, AZ, OK, and TX. For residents of other states in which registration is not held, proper licenses and registrations must be obtained by us before proceeding further. No part of this communication should be construed as an offer to sell any security or provide investment advice or recommendation.